Thank you to all who kindly donated to our fund-raising efforts at Morrisons Oswestry on Wednesday 28th May. Having held two meetings at Oswestry Cricket Club, we decided to try and raise awareness of SDN to the people of Oswestry by having a collection at the store. We met some lovely people while giving out leaflets to those who wanted them and your generosity has increased our funding by £161.01. This money will be used to further our work. ie newsletter, general running costs, meetings, stationery, website, promotion of SDN. 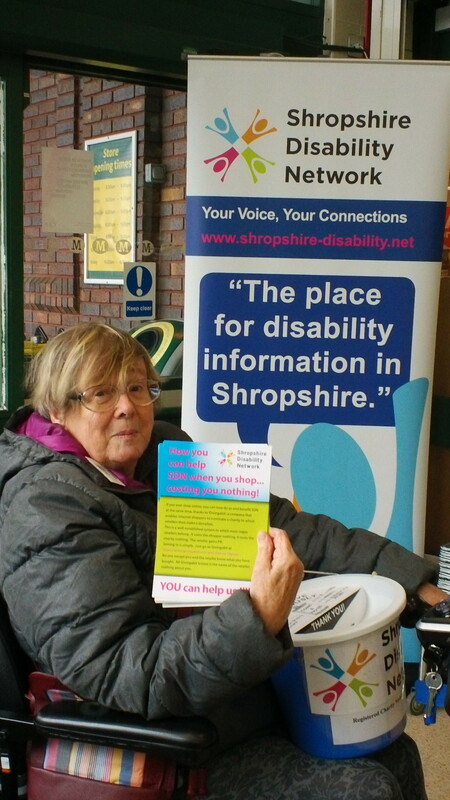 We have held similar collections/awareness days in Shrewsbury and Telford stores during the past 3 years, but as SDN covers the whole geographical county of Shropshire we need to include everyone so please look at the website as well as “YourVoice” to find out where and when we are next. 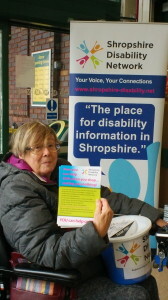 SDN wishes to thank the Management of Morrisons Store at Oswestry for the warm welcome we received. Of course this would not have happened if it had not been for the people who volunteered to help. Lack of volunteers/illness of some members meant we were short of collectors, we thank Oswestry Rotarians for answering a call for help. Thank you to John Powell, John Davies and Hazel Yates for pulling out all the stops by alerting our cause to other Rotarians, and a special mention for John Powell who was able to do an hour or so for us on the day. This entry was posted in Blog and tagged Fund raiser, Oswestry on June 9, 2014 by penval.